But play is vitally important to our emotional and physical health, relationships, and general well-being. We need to make time for that. It’s very telling that children laugh an average of 300 times per day, while adults laugh fewer than 20 times. In his book Play, psychiatrist Stuart Brown, MD, defines play as anything “purposeless, fun and pleasurable.” So, it should come as no surprise that playing card games is one of the best ways to truly have fun – and it also gives your brain a workout, stimulating brain activity and exercising your memory. One of the best ways to have fun with cards is to get started with a good game you can pick up rather quickly is spades. 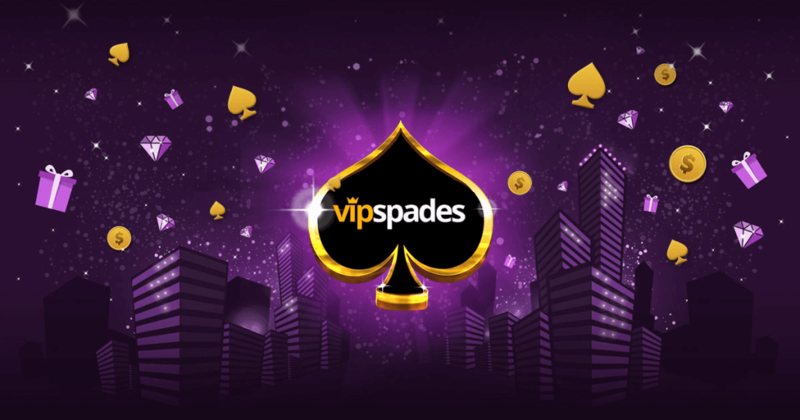 Today, the easiest way to get started is to play online (since it’s available 24 hours a day, you can work it into your schedule anytime you have a few minutes), and one of the best sites I’ve found for playing spades is VIP Spades. Despite the ease with which one can pick up spades and play with a group, it has a tremendous amount of ability for scientific gameplay, making it a favorite of serious card sharps and novices alike—even if poker gets all the attention. There are also different variations of spades you can choose to play, whether you wanna be solo or have a partner, whether you wanna make your necessary strategery easier or harder! As with any new hobby or activity, you should be continually striving to improve. Learn all you can about the game, set mini goals and challenge yourself to do better each time. The more you grow and improve, the more you’ll hone your strategy, the more fun you’ll have and the easier it will be to win. Studies have shown that building and maintaining friendships for adults boosts your emotional health and reduces stress, and when this effect is magnified when you engage in play together on a regular basis. Spades is a group game and ideal for friends to play together. VIP Spades is one of the few spades sites that has a “Custom Game” feature where you can create an online match for yourself and three of your real-life friends. It’s also good if you’re looking to make some new friends. With each game, you’ll be paired with three random players. It may take some time, but once you get to know a certain user’s playing style, you can “like” their profile, and they may “like” you back. Enjoyment of the game increases tenfold if the sites allows photos of each user. This lets you put a face to the name and know whom you’re up against. The “Pairs” feature teams you up with a random player, boosting that competitive feeling and giving you a sense of camaraderie, and once you get to know people you can invite them in particular to play a match. The greatest stress reliever – fun – often goes wistfully unused by the hardest working and most stressed-out people. Don’t let the kids have all the fun. Play is good for you, so get out there, enjoy, and laugh to your heart’s content. And if you want the camaraderie without having to put on pants, there’s always playing spades online.